With Keep It, everything has its place. The tray keeps pens and board erasers in their right place and ready to use. Simple, ergonomic design. 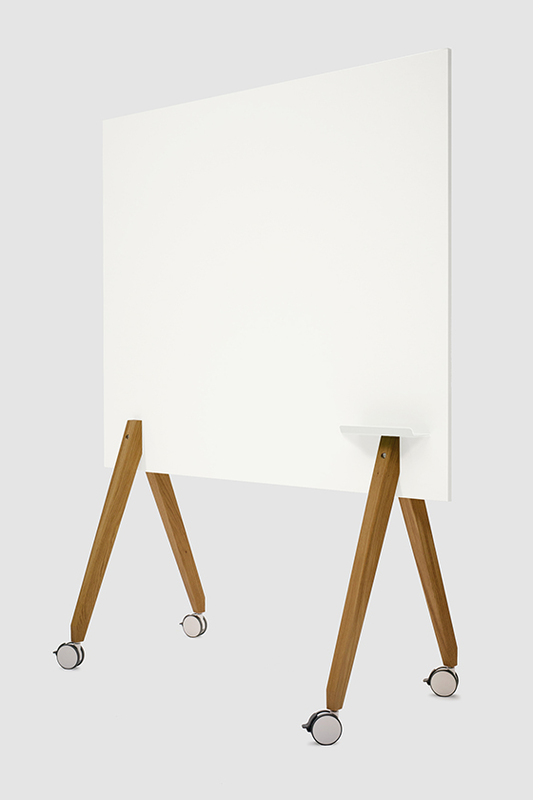 The practical tray is the perfect addition to the Write It on Tour whiteboard and the Pin Up on Tour pinboard. 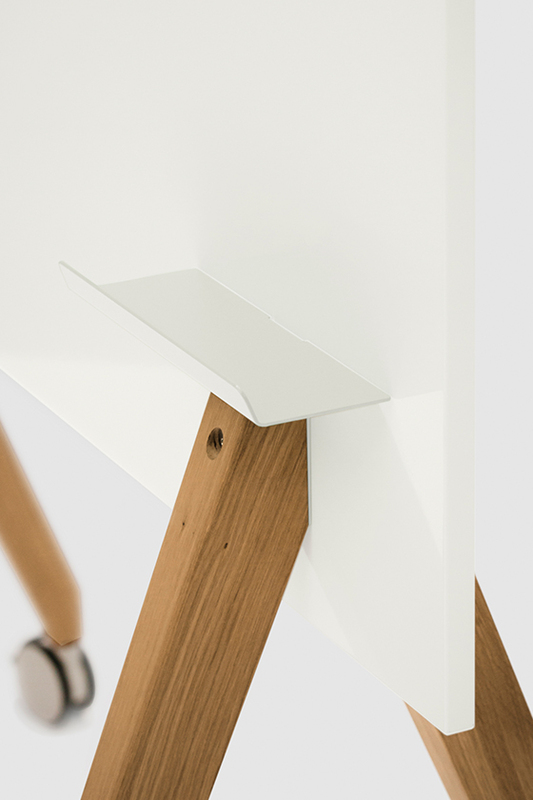 Keep It is made of powder-coated metal and is available in white, yellow, green, grey, red, and black or in any RAL tone on request. The tray is fastened between one of the wooden bases and the respective plate. Shipping within Germany: delivery in 2-5 days. International shipping: delivery in 4-6 days. Delivery in one package.